A Woodbury man who has had a number of run-ins with the law lately was arrested again recently on two separate occasions. On June 30, Scotty Glenn Grizzle, 406 Todd Rd., Woodbury, was charged with Promotion of the Manufacture of Methamphetamine and Conspiracy to Promote the Manufacture of Methamphetamine by Woodbury Police Patrolman John Fesmire. The arrest occurred after a vehicle registered to Grizzle was stopped on McMinnville Hwy. near Hill Creek Rd. Grizzle was a passenger. Amanda Arnold was driving. Grizzle had recently failed a drug screen, testing positive for methamphetamine. Officer Fesmire, a member of the Meth Task Force, has access to TMIS (Tennessee Meth Intelligence System), and had observed several pseudoephedrine purchases by both Grizzle and his wife. After receiving permission to search the vehicle, Officer Fesmire found two receipts on the floorboard. Both were from a Rite Aid store in Murfreesboro. One was for lithium batteries, which are used in the manufacture of methamphetamine. Officer Fesmire found the batteries wedged into the seat near the driver’s seat and the middle seat (where a small child who was present in the vehicle had been seated). Grizzle denied purchasing the batteries. After initially stating she had not bought them, Arnold admitted to doing so. She said she needed them for a camera. Arnold also denied purchasing the pseudoephedrine. She refused a request to search her purse. Officer Fesmire followed Grizzle and Arnold to Grizzle house on Todd Rd. He was unable to find any obvious indicators that meth was being made there and left. On July 4, Officer Fesmire logged on to TMIS. He found that from October 2009 to June 2012, Grizzle had purchased 34.75 grams of pseudoephedrine. From March 2007 to April 2012, Arnold had purchased a reported 331.44 grams of pseudoephedrine. Arnold also had a lab seizure indicted through TMIS at her home in Warren County. The TMIS also indicated Sarah Grizzle, Scotty’s husband, and Danny Arnold, Amanda’s husband, had also made several pseudoephedrine purchases. Officer Fesmire took out warrants against both Scotty Grizzle and Amanda Arnold. He faxed Arnold’s to the Warren County Sheriff’s Dept. Cannon County Sheriff’s Deputy Seth Perry served the two on Grizzle on July 5. During an interview, Grizzle told Officer Fesmire his pseudo purchases were due to a persistent problem with allergies and colds. His bond was set at $12,000. Initial court date is August 28. Previously, on June 23, Grizzle was charged with Driving While License Suspended 2nd Offense by Cannon County Sheriff’s Deputy Jordan McGee. Deputy McGee was on patrol in the area of John Bragg Hwy. when he noticed Grizzle driving a white Ford F150. Knowing Grizzle did not possess a valid driver’s license, the deputy contacted Cannon County Dispatch received information that Grizzle’s license was suspended for failure to satisfy a citation. Deputy Grizzle initiated a traffic stop of the vehicle. Grizzle handed him a state ID card and stated he knew he didn’t have a driver’s license but was going to Murfreesboro to visit his family. Grizzle was placed into custody. A family member was contacted to pick up the vehicle. Bond was set at $3,000. Initial court date is Aug. 7. 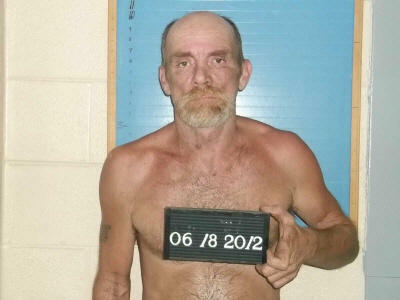 Grizzle is also facing charges of Criminal Trespass from an incident at the Cannon County Jail on June 18. Prior to that, Grizzle agreed to the revocation of probation on June 13. He was ordered to serve 30 days and his probation was extended 5 months. In another case, stemming from an April 23 arrest, Grizzle pled guilty to driving on a suspended license. He was sentenced to 11 months 29 days in jail. That sentence was suspended upon equal time on probation, losing his license for one year, paying a $100 fine and the court costs.